Q: "Extreme Panic in D.C."
"Q: Extreme Panic in DC"
'...Be 'extremely' vigilant in Dec.
(self incrimination) how might that alter/change their testimony? 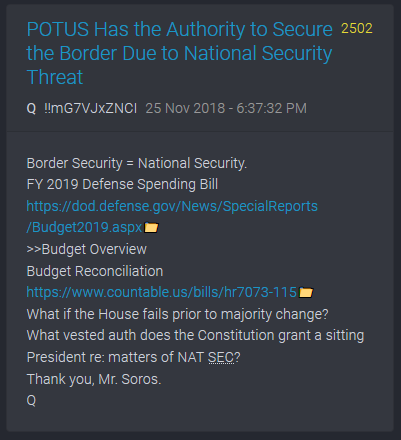 'Border Security = National Security. 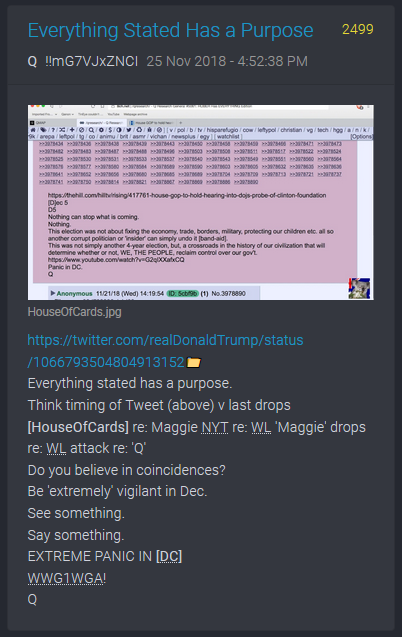 The Q posts are providing us with a steady stream of intel as the situation unfolds in USA. The United States of America is the seat of the Deep State, therefore it must be the main focus for the Alliance. However liberating USA will also liberate the rest of the world. Freedom, abundance and peace for humanity at last.